Male patient 54 yo takes CXR for heath check at Medic Center. Surprisingly we found a very enlarged heart shadow which oblitrated ½ lower chest on both PA and lateral chest XR. On cardiac ultrasonography, the heart is within normal limits, but there are abnormal structures surrounding the heart with hyperechogeneicity. We decided to do a thoracic CT scan to clarify the problem. The result of CT scan shows a very large structure of fat density occupied all lower half of the chest and confirmed by surgery and pathology: about 2 kg of fat was removed from lower mediastinum due to mediastinal lipomatosis. 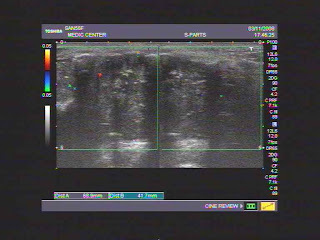 Man 27 yo, 3 months ago detected mass at left arm ( foto) no pain no trauma history and slowly growth. 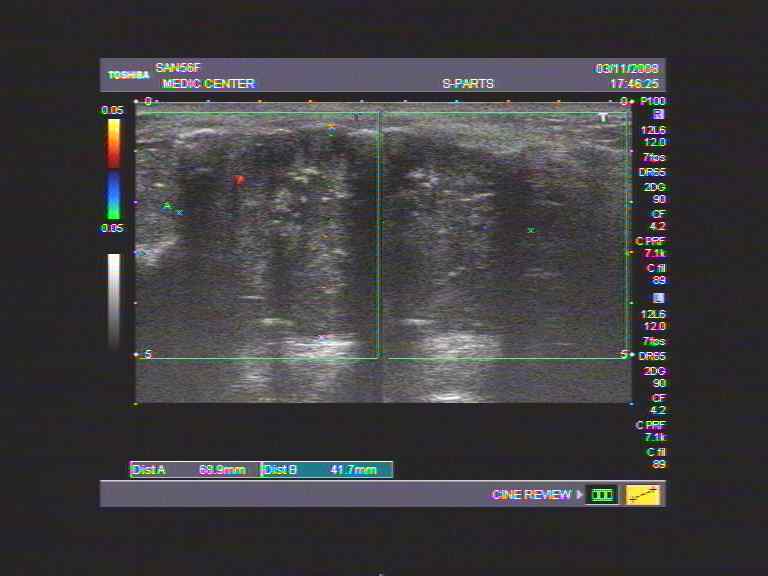 Ultrasound first seeing this mass is hypoechoic, intramuscular, well bordered with very high pattern color Doppler. MSCT with CE of this mass filling rapidly contrast agent that looked like an A-V MALFORMATION. 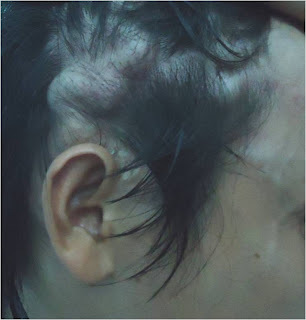 OPERATION REMOVES EN BLOC TUMOR, WELL BORDERED WITH OPENED SURFACE IS CONVEX, LOOKED LIKE BENIGN TUMOR. MICROSCOPIC WITH IMMUNOHISTOLOGIC STAINING REPORT: Hemangioendothelioma, it is very rare soft tissue tumor. 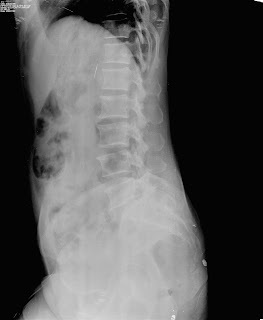 Woman 73 yo has pain at right pelvis for 6 days, crisis, hyperperistalsis. Ultrasound shows one cystic mass nearby urinary bladder, with size of 4 cm, round border with the neck connecting to lumen of intestine. 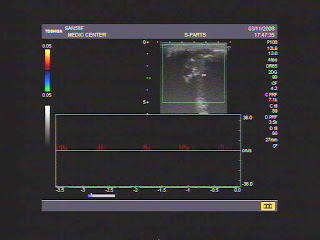 See 3 ultrasound pictures with 3.5 MHz curve probe, and with linear probes 12 MHz; this cystic mass has multilayer wall, calcification of the border, the fluid is cloudy. This cystic mass is moving with hyperperistalsis due to intussusception (3 images). On MDCT this mass is cystic, intra intestine lumen, portion of terminal ilium. This case has emergent onset. 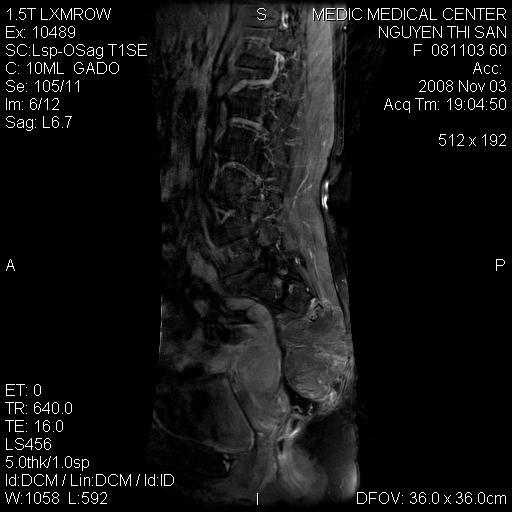 Ultrasound first says that intussusception, but don't know what the cyst is; MDCT suggests an appendicular mucocele. Do you agree with the idea ? Operation is laparotomy which detects right colon very mobile with one mass at appendix site. Procedure is right hemicolectomy. 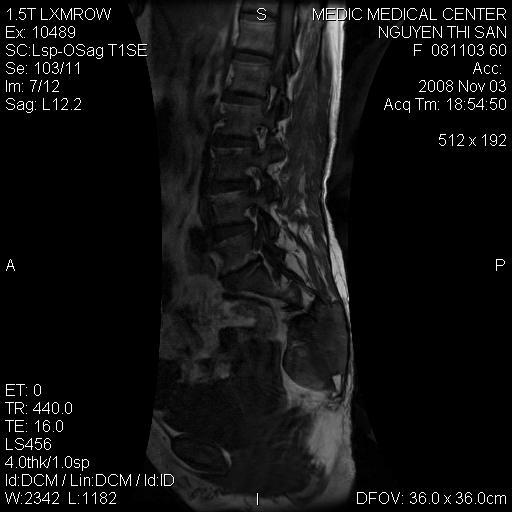 In macroscopic dissection, specimen is an appendicular mucocele. Wait for confirmation of microscopy. 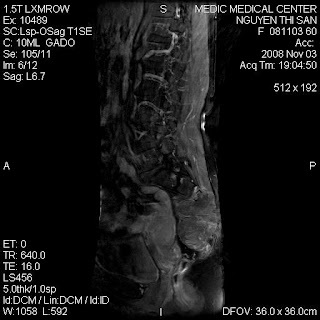 The clinical case of intussusceptions in old woman has the cause. 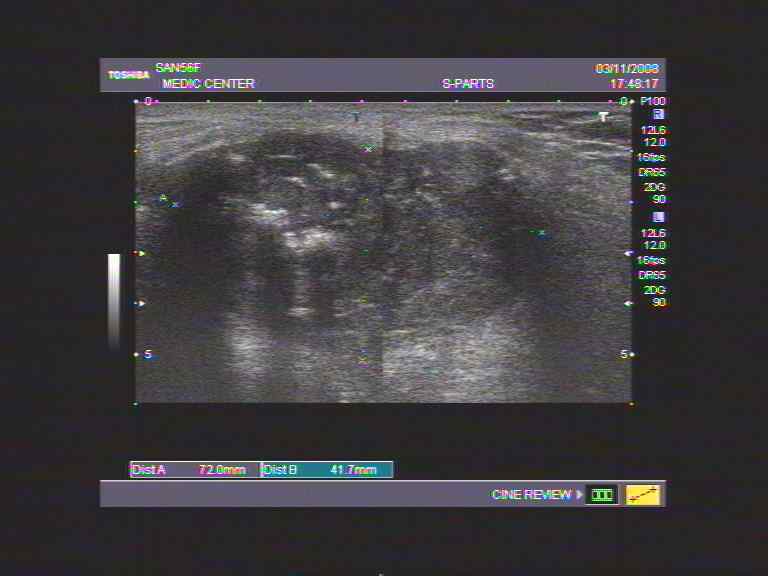 Ultrasound detects cystic mass close to urinary bladder which is not common cause for ileo-colic intussusception. MCDT reveals cyctic mass intra intestinal lumen with mural calcification is the key point for diagnosing this case. 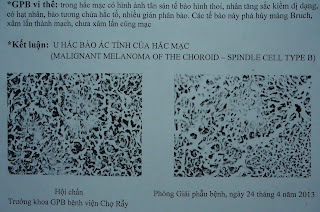 Microscopic report is mucinous carcinoma of appendix. Male patient 30 yo underwent a middle ear surgery for 10 years. After surgery about 2 years, a posterior ear mass appeared and getting its size bigger . There are thrills in the mass, and it is collapsed with palpation. Ultrasound detects tortuous dilatation of subcutaneous vasculature at temporoparietal area on right side and around right auricular area, Doppler shows continuous flow pattern which is thought to be an AV fistula post op. MDCT confirms an AV fistula on 1/2 right head which is supplied by superficial temporal artery and drains away by facial and right jugular veins. Female, 91 years old, Nha be district. For 3 months: watery diarrhea without blood (over 10 times/day), no abdominal pain. Treated by many doctors and medical centers, but diarrhea did not stop. 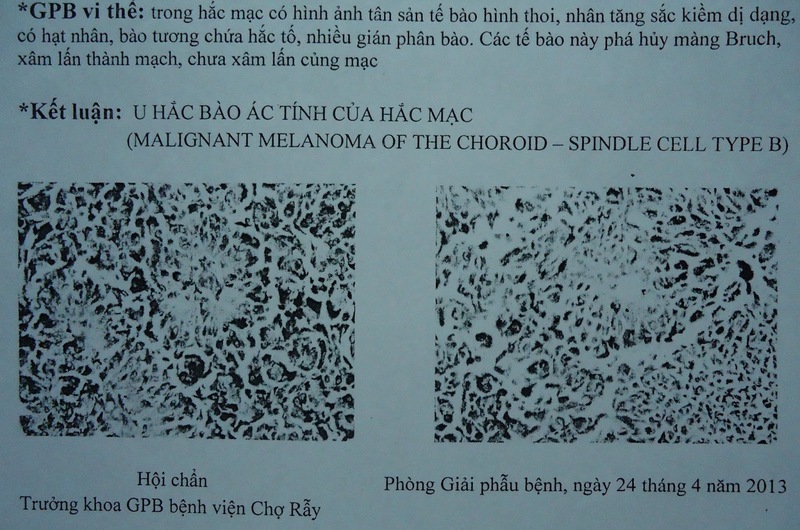 Tropical disease hospital admission: failed treatment after a month and transmitted to Binh dan hospital. 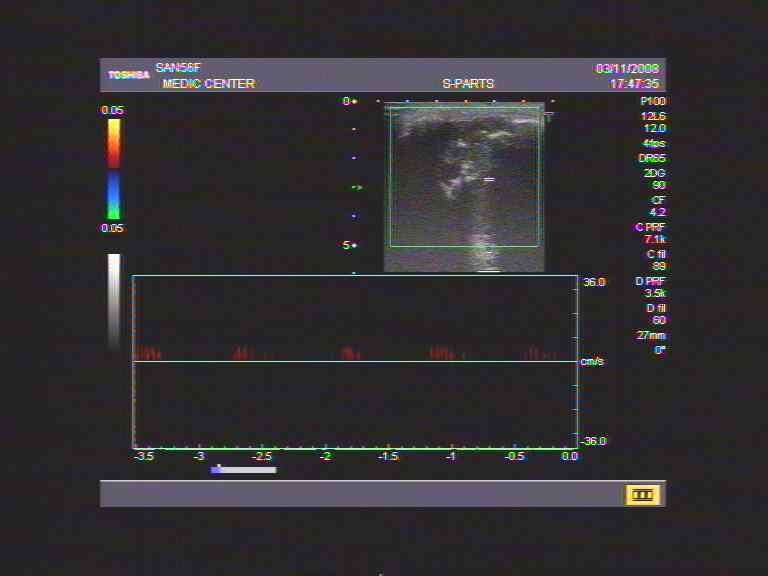 v Lab test: normal, Abdominal US, CT scan: normal, UGE : normal, Rectosigmoid endoscopy: normal. Stool test: negative, suggestion : capsule endoscopy. v Capsule Endoscopy= Many worms with the appearance of Ankylostoma in jejunum and ileum and inflammed mucosa of small bowel. Diagnosis=Enteritis due to parasite (maybe Ankylostoma duodenale). Internet : some case reports like this. Suggestion : stop using all kinds of drugs including antibiotics, start with Zentel 2 tablets a day/ 3 days. Diarrhea improves in getting down : 10 times and 6 times and 4 times and 2 times. Discharge. Suggestion: repeated Zentel after a week, now normal stool. Few case reports, besides anemia, acute or chronic diarrhea sometimes happens. Easy and simple treatment. But the worm name should be proved by ELISA test for Ankylostoma. Male patient 47 yo, admitting to the clinic because of chest pain. Chest Xray shows no significant finding beside slightly bulging of L pulmonary artery. Chest CT scan with contrast at Medic Center shows R pulmonary 90% occluded with thrombus and L upper lobe artery also occluded 30%. 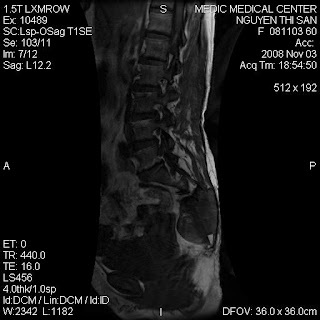 The patient is transferred to Singapore and conservative treated because the clot is too old and well organized.